Associated Environmental Industries, Corp. (AEI) provides excavation services for all types of locations. AEI has found success by providing safe, quality work in removing environmentally impacted soils, backfilling with clean compactable materials, and providing site restoration. With excavators, dozers, scrapers and other equipment, AEI is equipped to meet your needs large or small on UST, oil field, or industrial sites. 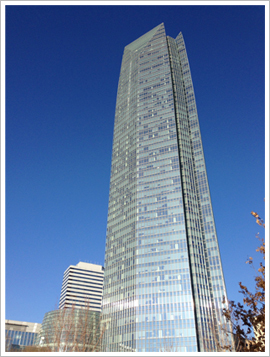 When hydrocarbon impacted soil was found on site during the construction of the Devon Energy Center in downtown Oklahoma City, AEI was called on for an excavation. AEI successfully moved over 8,000 cubic yards of soil in 5 days under demanding conditions in the business center of a major city. Need a quote? You've come to the right place. Just fill out the form on the next page. Need equipment? Here's what we have for sale.